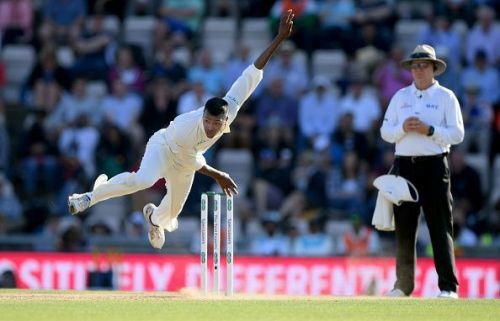 Former Australia batsman Michael Hussey has said that conditions for the third Test in Melbourne will be a lot different from those in Perth and India should consider drafting in all-rounder Hardik Pandya to bring balance to their attack. The third Test begins in Melbourne on December 26 and the MCG pitch has come under sharp focus after it hosted a drab draw against England during last year's Ashes and the ground received a warning from the ICC. "Conditions in Perth were quite unique and in Melbourne conditions will be totally different. I thought the Indian fast bowling unit has bowled beautifully in this series. They bowled a lot of overs in Adelaide and Perth in hot conditions, but had to work hard (for Australian wickets). "He (Pandya) is a bit like Mitchell Marsh, when he is in form. You get an extra bowling option that can take a little load away from the pacers particularly as the four-match series wears on. So this (bowling all-rounder) is something for both sides to look at," Hussey told PTI. Hussey said bowlers of both sides have really worked hard so far in this series and a lot will depend on how the two attacks recover. India used a four-bowler attack in both the Adelaide and Perth Tests. While they won the first Test by 31 runs with a well-balanced bowling unit, including a spinner, the four-pacer plan backfired in Perth as Australia levelled the series with a 146-run win. Hussey said that India missed Ravichandran Ashwin in Perth while Nathan Lyon bowled his side to victory, but also added that the four-pacer strategy was not totally wrong given the state of the pitch pre-match. Instead, he credited Australia for making good use of best batting conditions on day one. "Looking at the conditions, you cannot really say anything against it (four pacers). At the start, you just thought there was plenty in it for the pacers and there were lots of cracks. I just think it was a good toss to win and in the first innings, on day one, the pitch played at its best and enabled Australia to get a decent first innings score. Then, we saw that the score came down as the match went on. "So it was not necessarily what India did wrong. It was just good quality Test cricket in difficult conditions. India certainly missed Ashwin (as the game went on) and this is something for them to look into. Lyon is a quality bowler and he bowled from one end, allowing Tim Paine to rotate his pacers from the other end. India could have done that as well," Hussey said. The 43-year-old Hussey, who played 79 Tests between 2005 and 2013 with 6235 runs to his kitty, also said that Indian batting was imbalanced with too many tail-enders, and the poor form of their openers was starting to show in contrast with what the Australian openers were able to achieve. He said if the if poor starts of the openers continue, then Cheteshwar Pujara and Ajinkya Rahane need to take on more responsibility to balance the reliance on Virat Kohli. "Day one was the easiest time to bat but the Australian openers did a great job. And they were under pressure as well. Certainly with Aaron Finch, there was a lot of talk whether he should be opening and I thought he played brilliantly. Australia getting off to that 100-run opening partnership certainly did put them in the box seat and a strong position to win the game. "Both the Indian openers are fine players, but they are obviously not getting going. Sometimes it happens and things are not just going your way," he said. Asked if India were relying too much on the performance of Kohli, Hussey said, "Kohli is the best player in the world, so India do rely on him and that is not wrong. For Australia, when Steve Smith and David Warner were playing, there was a heavy reliance (on them). "For India, Pujara was outstanding in Adelaide, and Rahane is looking good in patches. You always rely on your best batsmen, but in this second Test, with that extra fast bowler the Indian tail was too long and it upset the batting balance," he said.